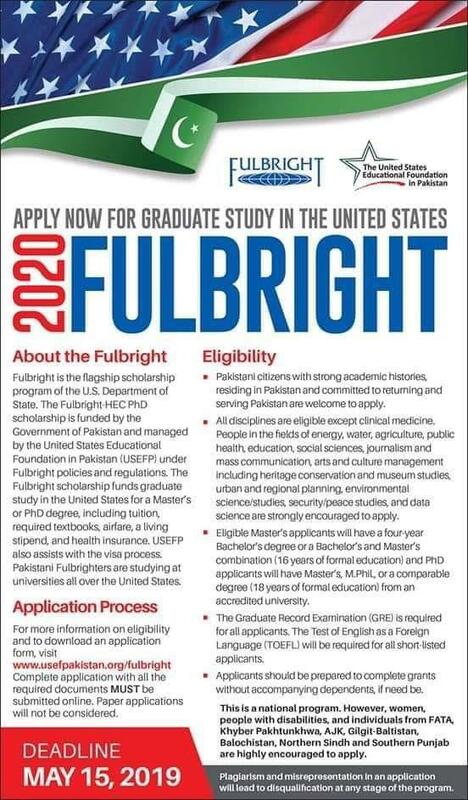 And finally, the wait is over, United States Education Foundation Pakistan (USEFP) has announced Fulbright scholarship. 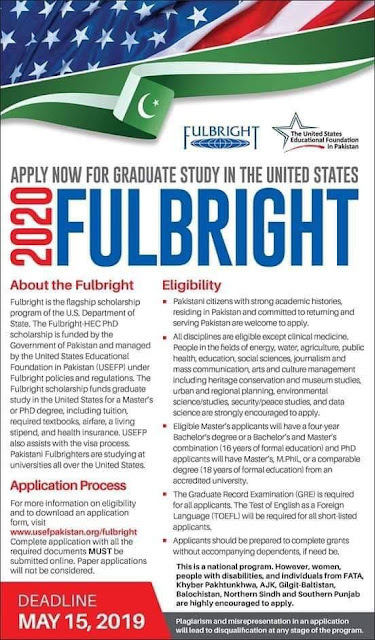 Applications are invited for Fulbright Scholarship for higher studies in the United States of America. It is a fully funded scholarship for Pakistani students in Masters and PhD degrees. This is a fully funded scholarship which covers tuition fee, books, travelling, health facilities and a living stipend. USEFP also helps in the visa process. Scholarships are available in all fields of Masters and PhD except clinical medicine. Moreover, Fresh graduates are highly encouraged to apply for the scholarship. Last date to apply: 15th May 2019.